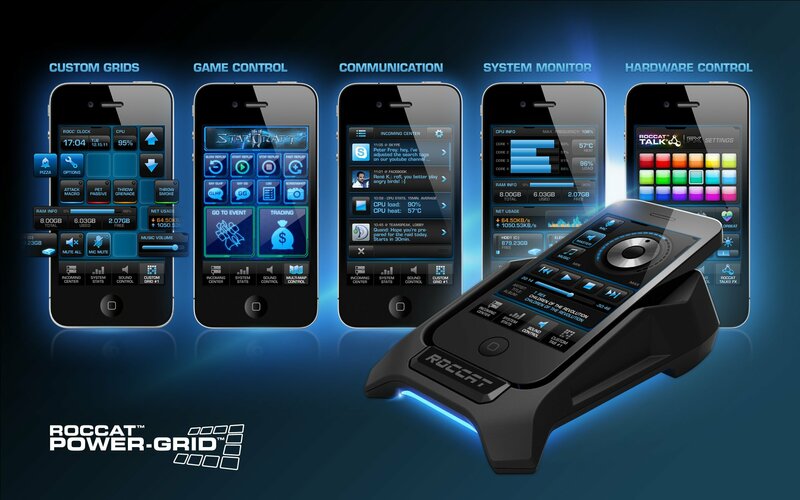 Roccat Power-Grid is growing at a steady rate. Gaming geeks and PC enthusiasts have known about this gem for a few months now but it hasn’t quite taken the market by storm yet. It’s a cool utility that allows you to do many different things with your computer. The best part about it is the community driven ecosytem. There is an SDK out that allows you to make your own custom displays and functionality on the screen. As you can see, there’s a lot to like about it. It’s a beautiful layout, and one you can customize. You can use this app to control your mouse on screen, change music, monitor system resources and temperatures, and more. I suggest trying it out now that improvements have been made and the software seems to keep getting better. We will add a video review of this product in the coming weeks.